the 19th edition of the ECOMM lies behind us. The city of Utrecht, with its mind-blowing number of cyclists and its ambitious plans for the redevelopment of the city centre area surrounding the railway station, was the perfect location for more than 300 professionals to be inspired and exchange knowledge and experiences. 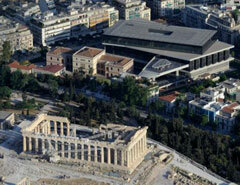 The next edition of ECOMM will take place in the “cradle of Western Civilisation” – in Athens, Greece. In this unique location, the ECOMM will celebrate its 20th birthday. First ideas on the content are to have contributions from all 19 previous ECOMM-cities, to address the challenges posed by the “Athens Charter” and to connect to the challenges and opportunities posed by the economic crisis with which the city and country haven been confronted for many years. The conference will be from 1-3 June next year – see the Prezi-presentation here. The world is changing more rapidly than ever and policies have to anticipate and adapt to these changes. Mobility Management has to be taken into account in policy preparation efforts like forecasts, vision development and back casting. Mobility Management affects many other policy areas and vice versa. We need a European Strategy on Mobility Management as a holistic approach that brings it all together; and that includes shared views and common actions. Evidence on the effects of Mobility Management is needed to support the implementation and further development of Mobility Management. We need to collect the evidence on the impacts of Mobility Management policies including showcases. Furthermore, data collection has to be improved. 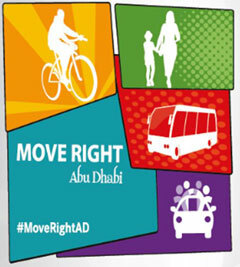 Mobility Management enables a balanced approach in transport planning. We need a shared understanding and awareness of how Mobility Management can help to meet EU objectives. 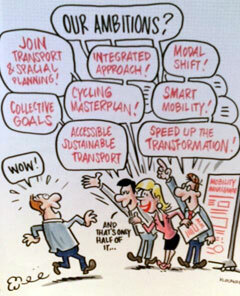 To implement Mobility Management, the cooperation fo all relevant actors on all institutional levels is needed – for instance – Sustainable Urban Mobility Plans (SUMP’s) are an important first step tool for realising cooperation on urban level. The development of a European Master Plan on Mobility Management will be an important stepping stone towards sustainable mobility by providing and facilitating Mobility Management on local, regional, national and European level. EPOMM can facilitate these five efforts. The EPOMM Board (that had its meeting right after the ECOMM ended) already decided on a work programme to move forward with the declaration. Every year, EPOMM hands out the award for the best practice of international policy transfer rewarding a team of policy exporter and policy importer. 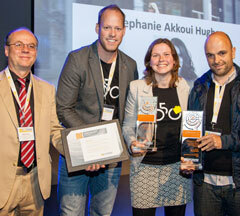 This year all three prize winner teams were high quality projects and the jury had a hard time selecting the winner. The winners 2015 are the cities of Groningen and Donostia/San-Sebastian for their comprehensive policy exchange on bicycle parking strategies within the TIDE project. The second place went to the Ecodriving training project of the Austrian Energy Agency and UNDP Russia that produced very clear results. The third prize went to the team of the two “Fietsberaads” – in which the Flemish Fietsberaad was modeled after its Dutch counterpart. As this was very new at the time of submission, no tangible results could be shown, however, it looks very promising for the future. The 19th ECOMM focused on user orientation as a starting point for mobility management (MM) as the key to success. A better understanding of what moves the user will improve our actions. The Dutch have built an extensive experience and knowledge base in this field through their Better Use programme and the Behaviour Insight Team within the Ministry of Infrastructure and the Environment. Keynote speaker Stephanie Akkaoui Hughes of AKKA Architects also puts the user at the heart of her architecture projects. What we do when we design the built environment or when we shape a transport system, is designing a context for human interactions. In order to facilitate rather than dictate interactions, we should design incomplete, impermanent and imperfect contexts and adapt our design after we have observed the behaviour of people in the new context we have created. 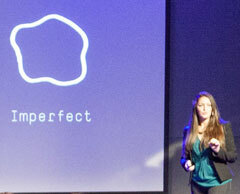 There is a video of Ms. Akkaoui’s speech at TEDxBelfastWomen. Antonio Consiglio argued that psycho-social change is more effective when we set up interactive processes that make people collaborate or compete rather than considering people as empty boxes that need to be filled with knowledge or messages. Hanna Wennberg from Trivector in Sweden explained how you can use an accessibility index as a basis to change behaviour. Karl Reiter from FGM-AMOR showed how the customer is a crucial element in the logistics chain. With very simple measures such as spacious, sheltered bike parking, bike pumps, and bike baskets, we can go against the misconception that shopping without a car is impossible. By the way, Karl Reiter got the highest average score from the International Programme Committee of all 129 submitted papers. Congratulations, Karl! 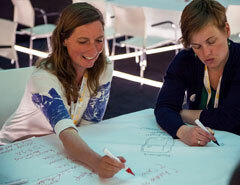 A new format of was very well received by the audience: the challenge sessions. After a plenary introduction of the challenges, participants were invited to give feedback, come up with solutions, recommendations and share their thoughts on the topic. Groups rotated between challenges and continue their discussion where the previous group ended. One very interesting challenge is the advent of the driverless car. (see challenge presentations here) Cities know that this type of car is probably coming, but they are not able to plan for it now, because there are so many uncertainties. In theory, a driverless car could drop off a person in a city centre and drive back home, thus eliminating the hassle of looking for an (expensive) parking space. This might attract more cars to the city centre or promote a negative modal shift from more active modes of transport back to the car. In cities that need to invest in parking facilities now, the driverless car may soon make these investments obsolete. It is also unclear to cities if we will move to a shared economy of public driverless cars or if these cars will mostly remain private property. This discussion illustrates how policy makers increasingly have to deal with uncertainties. Xavier Troussard from the Foresight & Behavioural Insights Unit of the European Commission pleaded for the use of foresight and vision building to change the narrative of individuals and groups and open up completely new visions of the future, rather than planning for the future with a linear model that builds upon the old narrative of how society and transport works. 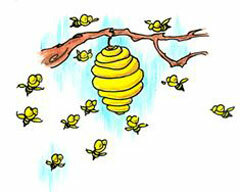 Companies are large traffic generators that have a huge potential as hubs for behaviour change. In the central region of the Netherlands, a large network of more than 300 employers, called the U15 (link in Dutch), has emerged to improve the accessibility of the region and decrease CO2 emissions. 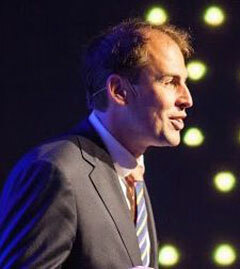 The Alpstar project (Martin Reis) suggested that every MM initiative has to acquaint itself thoroughly with the company culture and mission in order to be effective. Mohamed Jama Mohamed came to the ECOMM to present the experiences in Abu Dhabi. They face unique challenges, as there are no taxes on car use or ownership – and still solo car use for the commute is not higher than it is in Belgium for instance. The city wants to encourage winter cycling, because summers are too hot to cycle. And public transport is made more attractive with free wifi and ... free water. Car sharing, integrating mobility management and land use planning, cycling strategies,… There were plenty of other interesting presentations at the ECOMM 2015. At epomm.eu/ecomm2015 you can download the presentations, have a look at the Twitter feed #ecomm2015 and look at professional conference pictures – by the way free to use! 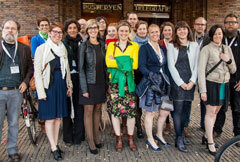 The largest delegation at the ECOMM in Utrecht was from EPOMM co-founder Mobiel 21. With the entire crew, they came to the ECOMM to celebrate their 10-year anniversary. Next year, we will celebrate the 20th birthday of the ECOMM itself. See you in Athens!